Running a Startup doesn’t often allow for time to always think about the 10 year plan. Intellectual Property can provide a Startup with a competitive advantage, which may some day be their saving grace. When entrepreneurs embark on a new business idea, they have no doubt it will be a commercial success. Often though, their primary focus is building their company. In the middle of numerous things that go into running a startup, intellectual property can be pushed aside. Even if it is considered, the cost may seem too great an expense for a startup. What entrepreneurs need to keep in mind, is that protecting your intellectual property isn’t only about protecting what you’ve created. It is also to ensure that your creation isn’t infringing on something already protected… and about to get you into a legal problem. 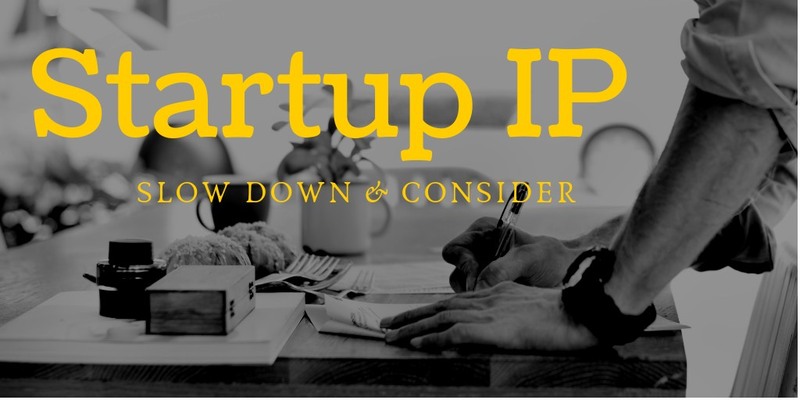 IP protection, or lack there of, can make or break your startup, should it take off. In today’s competitive startup culture, IP can be a unique selling proposition (USP) of the product or service. It helps create a sustainable and defensible asset for the company. Investors see value in a company not only being innovative, but protecting the innovation. It offers an advantage over other companies looking for raising capital from venture capitalist groups. IP supposes even greater significance for technology startups, where innovation is happening every day. Brand value increases when coupled with IP. It gives investors, clients, and other stakeholders a feeling of confidence to become a market leader in their area of operation. Patents give the broadest and strongest protection of intellectual property. While cost may be a consideration for a startup, a unique feature is worth protecting. Individual patent attorneys will have a difference of opinion on patent filing. Filing “provisional” applications can reduce the upfront investment, while protecting the IP. The key is to prepare to file for a utility patent within a 12 month period. This also allows for the time it may take to fully develop your idea. Once granted, any competitor that infringes can be held accountable. Trademarks protect the “buzz” in a company, that includes its brand logos and names, and restrict competitors from deceiving customers using the same brands. Familiar in the startup world, trademark filing can protect the brand from potential competition. However brands and products come and go. Also while registration has significant advantages, trademarks benefit from automatic protection the same to copyrights. Giving a priority to registration for essential logos and names and delaying registration of other marks can help startups protect their market share. Making deliberate brad choices, before marketing or publicity campaigns, may help with cost reduction. For example, prior to the use of a mark by other companies can trigger a high-priced trademark or domain name dispute. Performing low-cost trademark searches early may eliminate these risks. Once granted, any competitor that infringes on either of these can be held accountable. While startups are within budget constraints, intellectual property protection may be a worthwhile investment. Since international patents may prove to be costly at this stage, a good start would be a domestic patent or trademark. As the company grows, it can set aside funds for additional protection in the international market. Established businesses are continually reinventing and redefining themselves. This means a more significant focus on innovation, which in turn, means a greater need for intellectual property protection. The importance of IP cannot be ignored for startups, and established companies alike, because of the long-term sustainable advantages it offers.